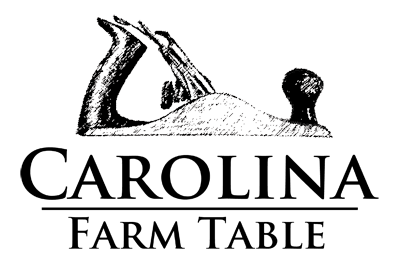 Carolina Farm Table, formerly Designs in Wood, is a custom furniture shop which specializes in farm tables, hutches and other hand crafted pieces for the home. John and Penny Ulery began Designs In Wood in 1972 in San Diego, California. They moved to Sparta in 1980, and bought the remaining half of the old Lowe’s Hardware building next to the law enforcement center at the corner of East Doughton and Alleghany Street, where the shop still currently resides. John and Penny exhibited at art and antique shows for 30 years, working with clients all over the United States. They received numerous awards and accolades for the craftsmanship and design of their hand scrolled mirrors, clocks and birdhouses among other decorative pieces. Their interest in table design began when John was given an few old porch columns to create something with. He ended up crafting a one of a kind dining table, and the rest is history. Today, their son Devin and his wife Anna, have made the business thrive with custom pieces such as traditional furniture like farm tables, sideboards, and hutches. What began as a small woodworking shop that made hand carved mirrors and birdhouses, has developed into Carolina Farm Table. A small group of talented craftsmen, carry on the tradition and build custom furniture. Skilled in design, advertising and business, Devin has brought quite a bit to the “table.” Born and raised in Sparta, he is focused on internet sales and sees the potential for local business growth. He looks forward to what the future holds for both Carolina Farm Table, and the town of Sparta. They have a growing staff of seven, who take great pride in their work. Devin’s wife Anna helps in photography, sales and advertising for the business and together they have made it truly a family business.